3M Scott Safety Contour 300 & Contour 500 incorporate innovation and creativity in design and application, maintaining 3M Scott Safety's reputation for being at the forefront of breathing apparatus design and manufacture for over 30 years. Providing operational flexibility and upgrade-ability, the Contour features exceptional levels of comfort, reliability and maintainability. 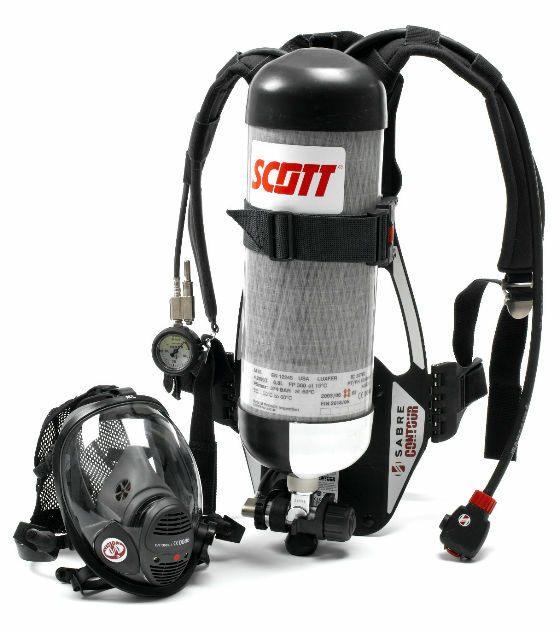 With both the single cylinder Contour 300 and the twin cylinder capable Contour 500 versions, 3M Scott Safety has a breathing apparatus to meet the professionals' most exacting requirements, which reflects 3M Scott Safety's stated philosophy to produce equipment customers wear by choice, not just necessity. At the heart of the 3M Scott Safety Contour is the lightweight composite backplate. The ergonomic shape provides optimal load distribution and balance, with minimal profile to allow ease of movement. As well as the pivoting side arms providing excellent lateral support, the backplate is designed to flex, providing a high degree of mobility. The impact resistant polyamide composite material is both anti-static and non-conductive. The Contour 300 backplate features a single cylinder retainer, whereas the Contour 500 model has a second support to allow twin cylinder use in conjunction with a high pressure manifold. The fully adjustable 100% Kevlar cylinder band features a unique over centre catch with a safety locking feature. Uniquely, the hoses are channelled along the inside of the backplate to prevent damage and minimise snag hazards. The Contour 300 and 500 both feature a harness constructed from Kevlar blend materials and feature closed cell foam padding. The Contour 500 harness features a full length backpad as standard, as well as wraparound hose retainers. These facilitate the attachment of the latest electronic systems and simplify the removal of the pneumatic assembly. The proven pneumatic system features a simple and fail safe spring loaded piston reducer, containing only seven components including an internal pressure relief valve. Fully user serviceable, it offers low service and maintenance costs. The reducer incorporates a protected medium pressure port allowing the connection of airline decontamination or RSM attachments. All hose connections feature 3M Scott Safety's U-clip/O-ring design, offering reliable and simple maintenance. Different high and medium pressure connections ensure foolproof assembly. Contour 500 apparatus feature an additional high pressure port to accept fast fill charging. The shoulder mounted robust, luminous pressure gauge and whistle features swivel hose fittings for easy wearer access. The Contour is available with the full range of 3M Scott Safety masks, including the latest Vision 3 or Promask types. All masks are constructed from non dermatitic materials. Coated polycarbonate visors provide resistance to most common chemicals and provide facial impact protection. Suitable for use with the latest lowprofile helmets, both elasticated net harnesses or integrated helmet clamps are also available. All 3M Scott Safety masks feature a low profile, bayonet side fitting connecting the demand valve for superior verbal communication. The Vision mask's unique shape also provides excellent peripheral vision. The Tempest automatic positive pressure demand valve features low breathing resistance and unsurpassed dynamic response, combined with peak flow performance in excess of 1000 litres/minute. As well as first breath actuation and a hands-free bypass facility, the valve features a unique, fail-safe servo-mechanism. In common with all 3M Scott Safety pneumatic systems, the Tempest provides the benefits of full user servicing with proven reliability and low through-life costs. 1045577 CTR-300 Contour self contained breathing apparatus for single cylinder use, comprising lightweight antistatic composite backplate with Kevlar cylinder band and fully adjustable padded body harness: Two stage pneumatic system comprising Tempest automatic positive pressure demand valve with bypass: shoulder mounted pressure indicator and 55 bar warning whistle: first stage pressure reducer with single high pressure cylinder connector. Harness fabricated from 50% Kevlar blend material and apparatus features a half lumbar pad. 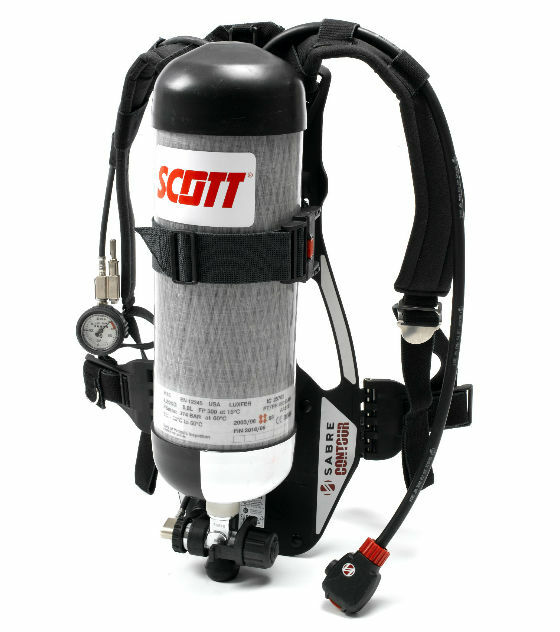 Apparatus accepts full range of Scott breathing apparatus cylinders from 4.7 to 11.0 litres capacity, 200 or 300 bar. Apparatus is CE Marked to EN137:2006 Type 1 Apparatus supplied less facemask, please order desired mask separately. Please add the following suffixes to the above ordering details to obtain the following options. Adjustment of list price shown accordingly. 1045619 CTR-500 Contour self contained breathing apparatus for single or twin cylinder use, comprising lightweight antistatic composite DUO backplate with Kevlar cylinder band and fully adjustable padded body harness: Two stage pneumatic system comprising Tempest automatic positive pressure demand valve with bypass, shoulder mounted pressure indicator and 55 bar warning whistle: First stage extended pressure reducer with ancillary high pressure port and single high pressure cylinder connector. Harness fabricated from 50% Kevlar blend material and featuring full length back pad. Apparatus accepts full range of Scott breathing apparatus cylinders from 4.7 to 11.0 litres capacity, 200 or 300 bar, in single cylinder configuration or two carbon fibre composite cylinders in DUO configuration. If the apparatus is to be used in a DUO configuration a separate twin cylinder manifold will be required, please order from manifold section. Apparatus is CE Marked to EN137:2006 Type 1 Apparatus supplied less facemask, please order desired mask separately. Please add the following suffixes to the above ordering details to obtain the following options. suitable high pressure breathable air supply and the fast fill adapter hose with charging valve.